Beautiful view from the Circles dining patio. 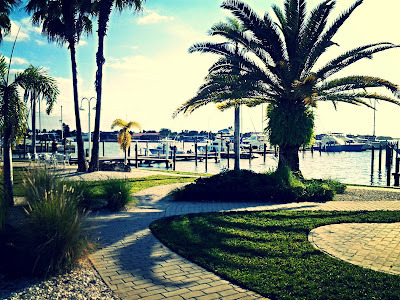 A beachfront town that even us Floridians forget about is Apollo Beach. 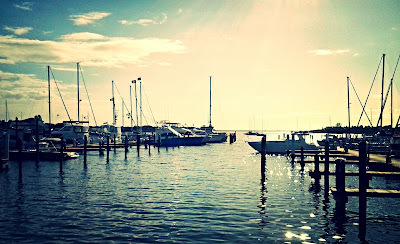 This town is located south of Tampa, on the intercoastal waterway, just on the other side of the bay of St. Petersburg. Circles is located in Apollo Beach. 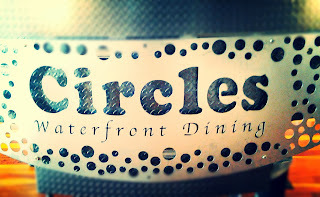 A wonderful little mom and pop spot with a beautiful ocean view is Circles Waterfront Restaurant. After a long day on the boat, watching the sunset on the dining patio was a great way to end the day. 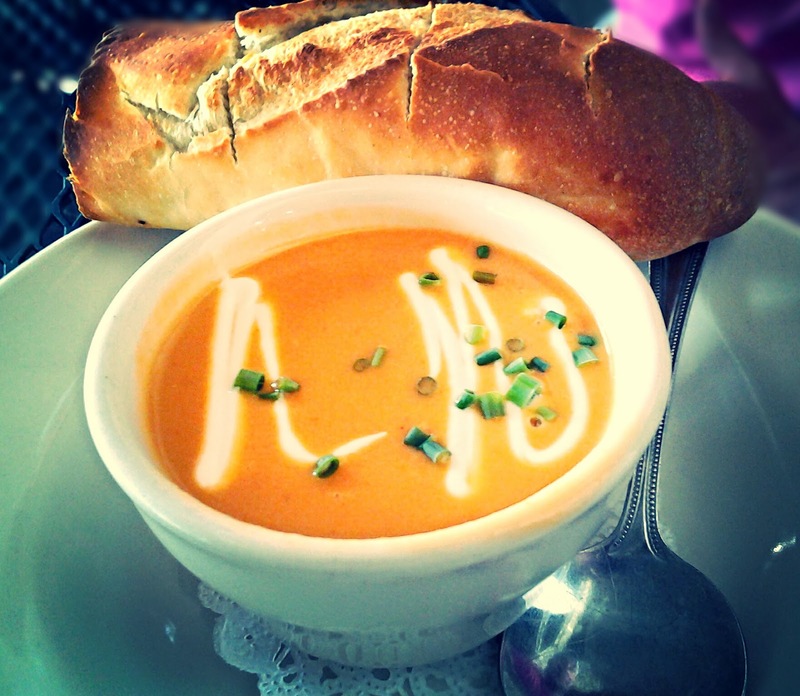 selection was the lobster bisque. It came beautifully displayed with a freshly baked baguette and homemade butter. 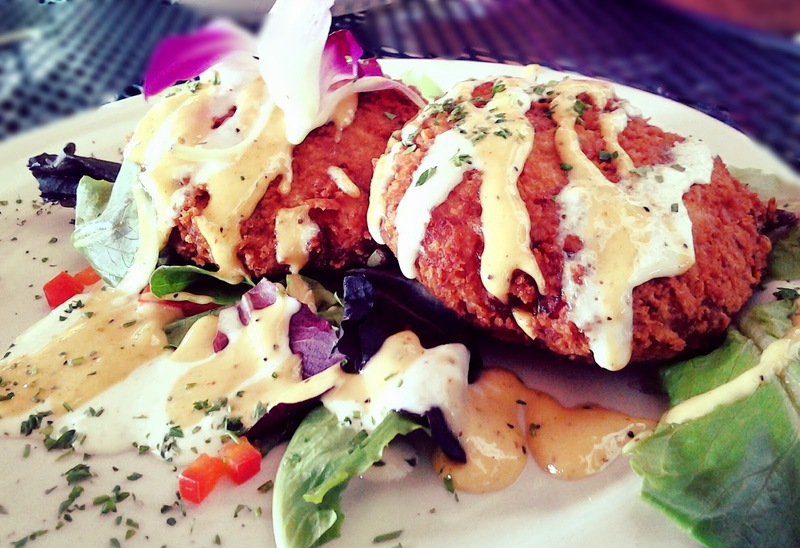 Our second selection was the crab cake appetizer. They were beautifully plated with a fresh orchid. The lumps of crabmeat were lightly breaded and fried. They were served with a delicious spicy horseradish sauce. Thai chili beurre blanc. 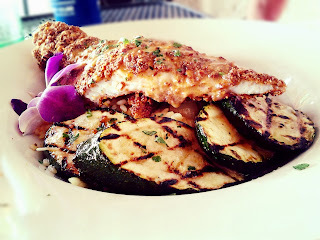 It was served with grilled zucchini and rice pilaf. The tender fish melted in our mouths with bursts of flavor from the mixed nuts and Thai chili. Without a doubt, you will want to visit Circles to experience these flavors. Click here to view their lunch and dinner menu. Hint: Happy Hour starts at 3pm! 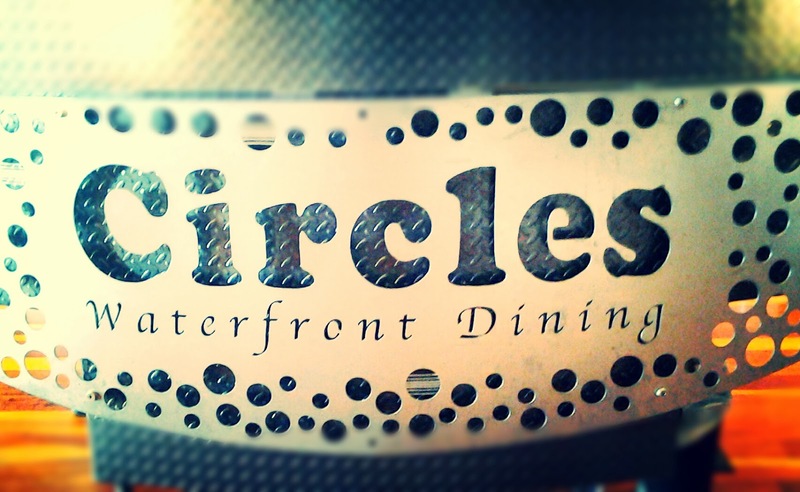 Circles provides customers with a tiki bar filled with live music and amazing drinks. The tiki bar can be rented out for private events. You will find live bands playing your favorite tunes on the weekends. 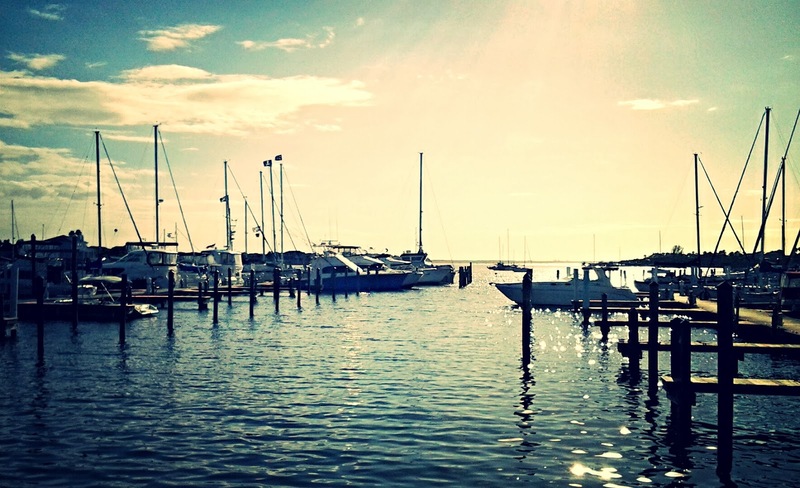 The tiki bar is accessible by either land or sea. Make sure you take a drive to Apollo Beach to visit Circles!